— E.U. Justice Commissioner Viviane Reding, speaking after a meeting with U.S. Attorney General Eric Holder in which they discussed revelations of widespread data gathering by the U.S. National Security Agency. — Julie Samuels, an intellectual property lawyer with the Electronic Frontier Foundation after the U.S. Court of Appeals for the Federal Circuit ruled that an abstract idea cannot be patented simply because it is linked to a computer system. — NetSuite CEO Zach Nelson, announcing his company’s plans to update its cloud-based ERP (enterprise resource planning suite) for manufacturers, an industry area that is behind in cloud adoption and reliant on “ancient” systems. 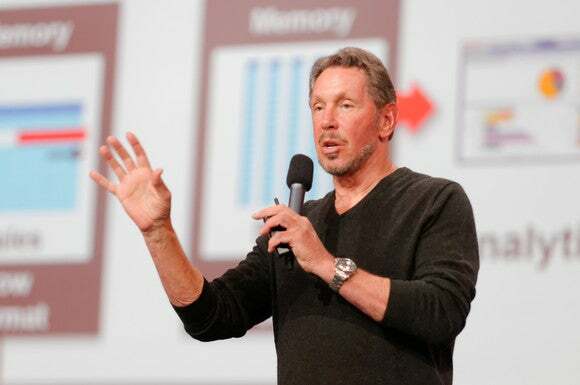 — Oracle CEO Larry Ellison answering a shareholder question about why the company has two presidents instead of one. — Stewart Baker, a partner at law firm Steptoe & Johnson and a former assistant secretary at the U.S. Department of Homeland Security, speaking at a U.S. Senate subcommittee hearing in May, about cyberattacks by China. — Victor Ng-Thow-Hing, principal scientist at the Honda Research Institute, explaining why augmented reality applications in vehicles need to be carefully designed. — Cryptographer and security specialist Bruce Schneier regarding revelations that the NSA thwarted encryption of Internet communications. — U.S. Representative Frank Pallone Jr., a New Jersey Democrat, in response to Representative Joe Barton, a Texas Republican, who had asked Pallone if he would allow him to respond to Barton’s assertion that Republicans were trying to “scare people so they won’t apply” for insurance under Obamacare. — Ellison, apologetically responding to a shareholder who said it took three phone calls to Oracle’s investor relations office to finally get an answer about the schedule for a shareholder meeting. — U.S. Magistrate Judge Paul S. Grewal of the U.S. District Court for the Northern District of California, San Jose division, in a written opinion after he and his judicial colleagues went through boxes of documents from Samsung to determine whether an attorney leaked confidential information. — John Halamka, CIO of Beth Israel Deaconess Medical Center in Boston, speaking at a panel discussion about the use of health-IT at hospitals. — Salesforce.com CEO Marc Benioff, when an on-stage interview with Yahoo CEO Marissa Mayer at the Dreamforce conference was disrupted by people protesting Wal-Mart labor practices. Mayer is on the Wal-Mart board.